Today, global fitness company Reebok announces it has partnered with UFC Light Weight Champion, Anthony “ShowTime” Pettis. The brand is committed to helping some of the fittest athletes in the world train, and few train harder than MMA fighters. 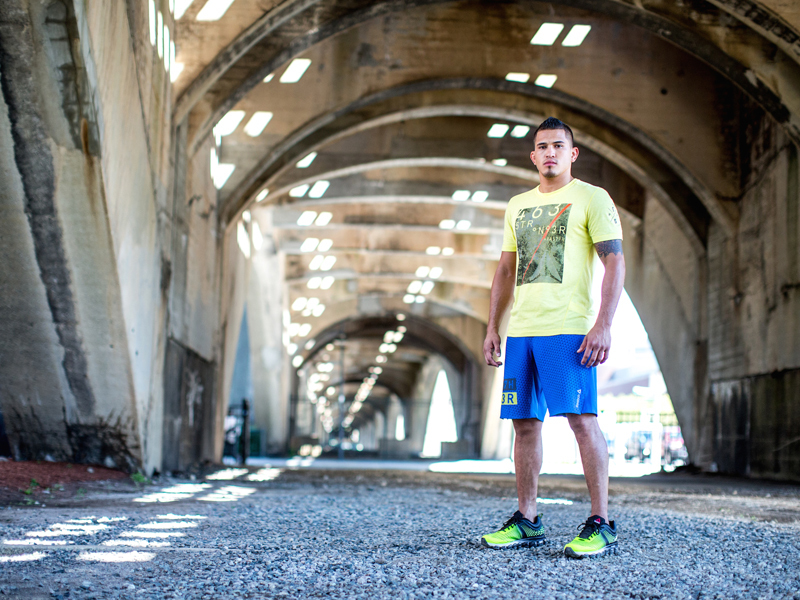 "As a leading fitness brand, Reebok is very excited to team up with UFC Lightweight Champion Anthony Pettis. MMA fighters are some of the fittest athletes in the world, and Anthony takes training to a whole new level. For our newest running shoe, ZJet, Reebok wanted to partner with an athlete who had explosive speed, and bold, confident style. With his lightning fast kicks, quick double leg takedowns, and flashy fighting technique, we knew Anthony would be the perfect fit. Running is an integral part of Anthony’s training regime, and we know ZJet will help him to be in the best possible shape ahead of his highly anticipated fight in December.” – John Lynch, Reebok’s Global VP of Fitness Marketing.